tent was set up for worship. 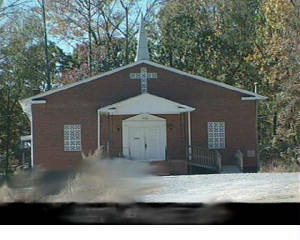 The leaders of the group were devoted ministers who have long been decreased, decided to form a church in the Newell Community. several ministers who served during this era as the church began to grow. More people joined and much more progress was made. As the years of progress continued, the late Rev. William Lee Sr. was called in the middle 40’s to serve as pastor of St. John Baprist Church. Plans for our new church was made. It was in the midst of these plans that the Lord called Rev. Lee Sr. from labor to reward. one year. He took up the building plans of his father and successfully led the church on a great mission. Rev. William Lee Jr. was called to serve at Silver Mount Baptist Church. He preached his farewell sermon on Junt 19, 1966. In July 1966, Rev. Robert H. Leak Sr. was called as our pastor. As Rev. Leak came to us, we had a good foundation to continue the progress. Under his great leadership, we grew in many ways – more choirs, more associate ministers, more members, a church van, and much more. Dock Reel, Sister Jeanette White, Sister Cornelia Dean, Sister Margie Elmore and many others. 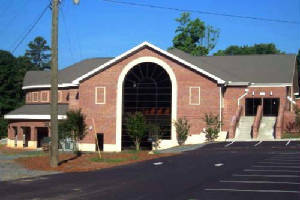 We have been blessed with several more church anniversaries since we have been in our new church. On Wednesday, July 16, 2008, Rev. Leak Sr.
was called from labor to reward. He left a great legacy that we will always remember. We continue to be blessed with new members, more progress, new ideas, and continued success in the Lord.